This listing is for 100 pcs. Size: approx. 6mm in diameter, 1.5mm thick, hole: 1.5mm approx. 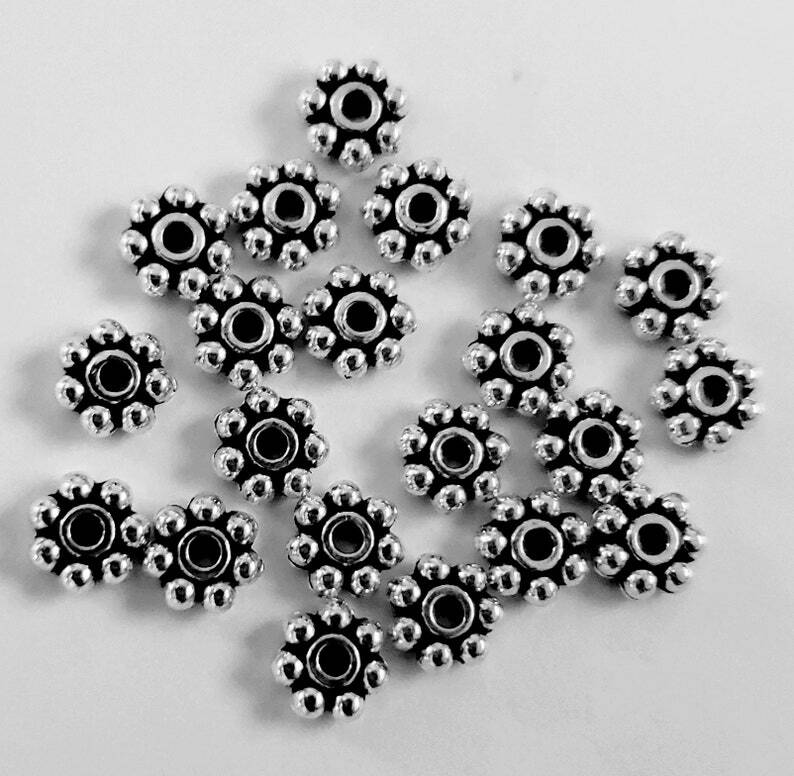 Antiqued Tibetian Silver Daisy Spacers for earrings, pendants, necklace, bracelet, belts and home decoration. I use these cute little spacers all the time in my jewelry creations. I think they make especially cute crowns for my angels! Tibetan Silver Beads, Lead Free & Cadmium Free & Nickel Free, Antique Silver, Spacer. Bead Caps - Antiqued Gold - 5mm x 8mm - 2mm hole Zinc Alloy - Lead Free- 50 pcs.